Is it soup weather where you are yet? It definitely is here and I’m loving it! It is possibly the perfect time of year here, with still pleasant temperatures during the day, but cooling off at night. Ideal soup weather. This soup is one I have been enjoying for years. 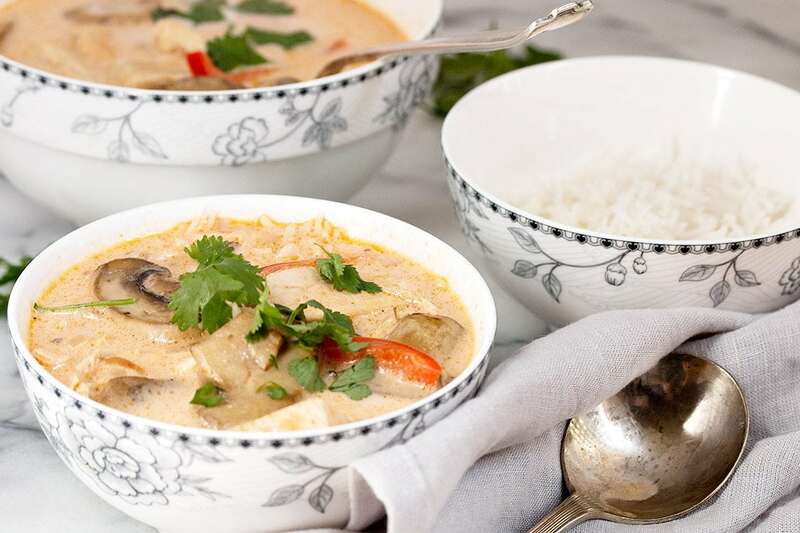 It’s hearty and flavourful, featuring wonderful Thai flavours, which are a favourite of mine. With the chicken and rice, it’s also hearty enough to satisfy as a dinner soup. 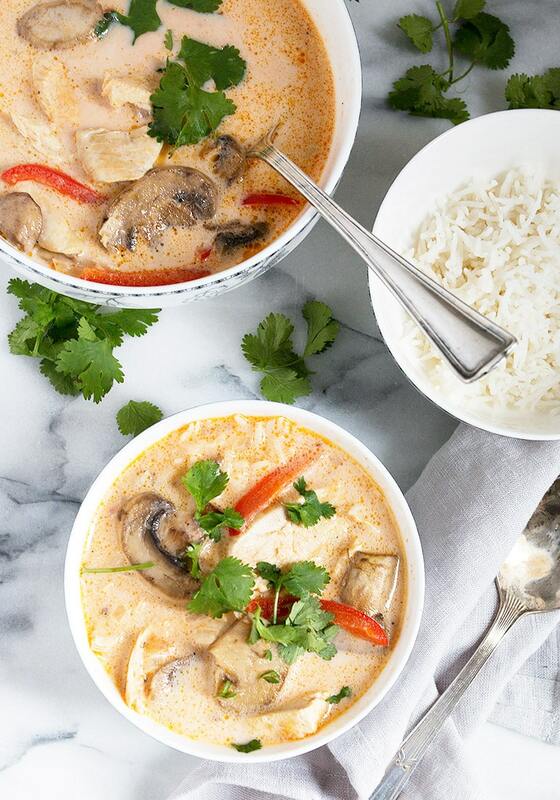 This soup starts with cooked chicken and cooked rice, so needless to say, if you happen to have either of those in your fridge as leftovers, you are ahead of the game. Even if you don’t, the soup comes together quickly. I usually make the rice ahead and refrigerate, then make the soup quickly at dinner time. If I don’t have cooked chicken already, I simply dice up a chicken breast and quickly cook it up in a skillet as I start the soup. One important note about this soup! You don’t want to combine the soup with the rice until right before you will be eating it. If you’re cooking rice at the same time you are making the soup, simply spoon some warm rice into a bowl and spoon the hot soup overtop. 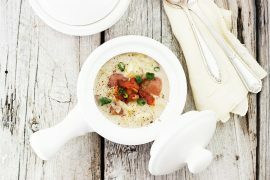 If you are starting with leftover rice, simply warm slightly before adding to bowl and spooning the hot soup over top. Likewise, if you have leftover soup and rice, refrigerate separately. To reheat, you can add the rice to the soup to reheat, as long as you will be consuming right away. The reason for this? The rice soaks up the soup as it sits, resulting in a bowl of rice instead of a bowl of soup. Start with leftover cooked chicken (or chicken from a rotisserie chicken) and/or leftover cooked rice to make this soup even more quickly! Change it Up! Use Asian noodles instead of rice. 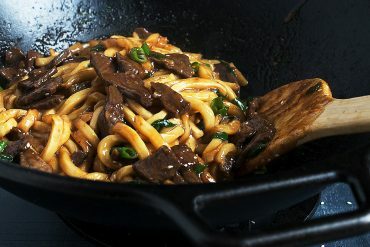 Simply soak/cook any Asian noodle and add some to the bowl before spooning over the hot soup. 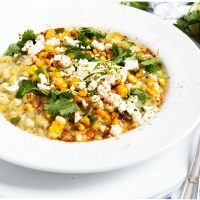 All the flavours of Mexican street corn in soup form! 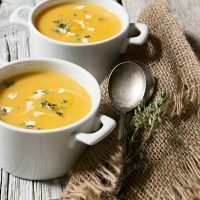 Classic and delicious Fall soup! 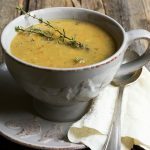 Hearty and healthy pea soup! This is the most amazing soup! My favourite. Cooked a double batch for the Soup Club at work today. Turned out really nice. This was absolutely amazing! I wish I had doubled the recipe! I didn’t use cream. I used a can of coconut milk instead. It isn’t soup weather as far as our area of Florida goes but who cares when you can enjoy a soup this good. It is always soup weather! I’m jealous of your not-soup weather, but glad you get to enjoy soup, anyway :) Thanks! I am wondering if this soup freezes well? 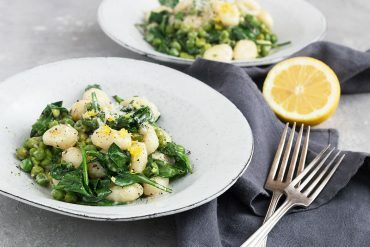 This soup looks, and sounds amazing!!! Approximately how much chicken (by oz or grams) did you use, I have thighs in the fridge, and I’m dieing to make this soup!! This sounds and looks wickedly delicious! So up my alley Jennifer! 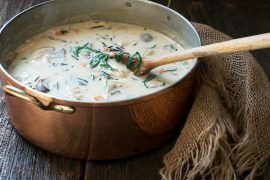 We enjoy soup a few times a week for dinner during the fall and winter months, and we love this one! I’ve made this one before and it got rave reviews! Thanks Sue and yes, I keep my fridge well stocked too, as Thai is one of my favourites, too! Another outstanding soup recipe Jennifer – so pretty and no doubt delicious. It’s getting cold now and soup is all I want to eat. Bet the flavor is wonderful! Thanks so much, Tricia :) We saw our first snow flakes falling from the sky for a few minutes yesterday. Definitely soup season here! Jennifer–you were kind enough to help me with the brand of curry pastes you use and I am so grateful. This recipe calls for fish sauce. Is there a particular one you use that you can recommend for me. Thanks. Made this tonight for my wife and I. Added a green pepper as well as red – just because I wanted to use it up. And also sautéed the chicken with a TSP of sesame oil and a TSP of honey and salt and pepper to impart it some flavour. Delicious. 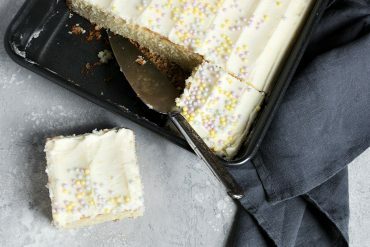 Thanks for a great recipe Jennifer – made it verbatim except added a tiny bit of sugar to taste at the very end. Considering winter has had a variety of weather, soup can be any time. Even though my palate takes a few minutes to adjust to the “heat”, I like dishes with interesting taste. And your soup did not disappoint. 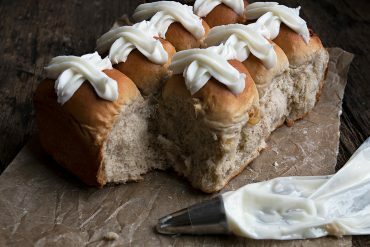 It was easy to prepare and very tasty. Chose to add the rice to the bottom of the bowl rather than adding it to the soup. I’ve just moved to Florida from New England so with weather is still hot but I don’t care…I’m making your soup. It sounds great. 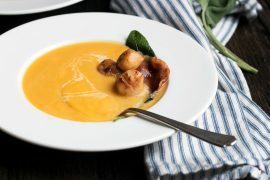 It is not quite soup weather here, but that is not stopping me from making all the soup recipes ;) This looks so tasty! Hi. 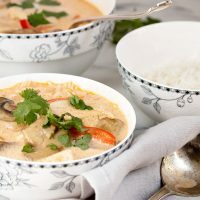 I do not comment on sites but I have to say thank you for the wicked Thai soup recipe. I used to buy this at Loblaws takeout for lunch. Also was able to buy it-from Sysco in large bag from a friend that worked at Sysco(Peterborough). Also my daughter had asked me to make Chelsea buns just like the ones we used to get from Hyserts in Bancroft. I made these and she and everyone else loved them. Fond memories. 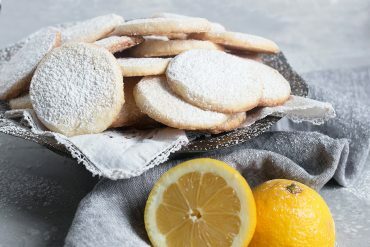 Am making them tomorrow as I am going to visit her. Enjoy your blog. You are most welcome Sherry. Enjoy the soup :) And thanks for commenting! 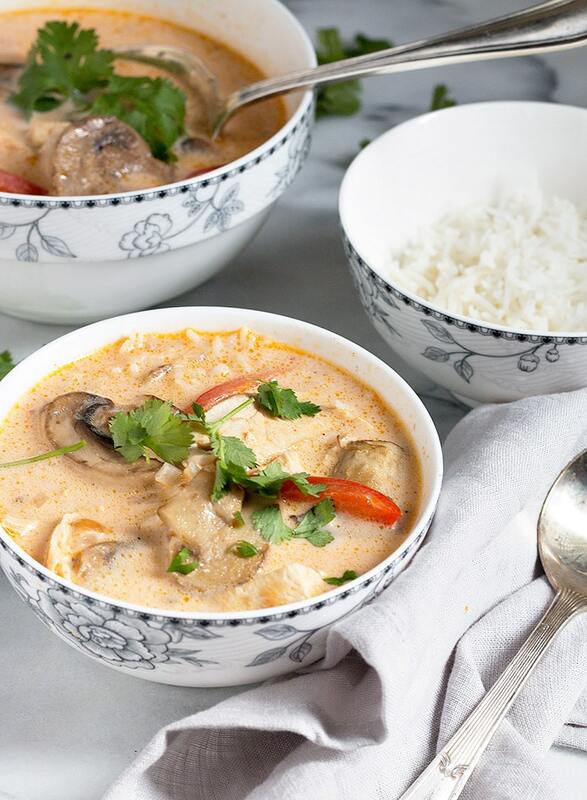 I love these Thai flavors, the perfect soup for chilly fall nights! It wasn’t soup weather here until about 3 days ago. And now – BOOM! Chilly air is here! As much as I miss summer, I’m loving the change in the air. And I’m so happy for soup season – probably my favorite thing to make! Same Liz. We live on soup! Wow Jennifer, I can tell this soup is going to be a fall/winter favorite at our house! Spicy and flavorful, just the way I like it! This soup looks packed with flavor. 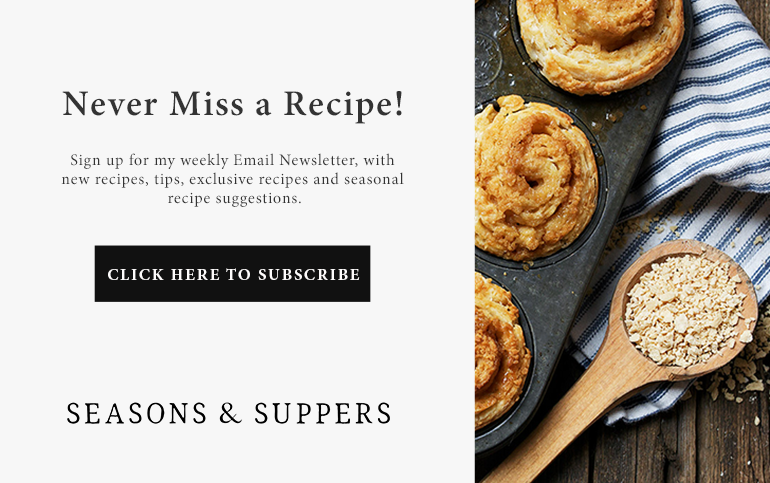 I am with you Jennifer – I love this time of year and soups are some of my favorite fall meals. Give me a chunk of bread and a bowl of hot soup – heavenly!